Lt. Col. (Ret.) Joseph “Joe” Perkins was born in Saint James, Missouri to Lawrence "Tick" and Lucille Perkins on November 22, 1938 at the height of The Depression. While growing up in the tough, post-depression days, ingenuity and willingness were required to be successful. Joe was the oldest of a large group of cousins who were raised in the Missouri Ozarks. As the ringleader, Joe convinced his younger cousins to run his trap line along the Meramac River while he sat on a hilltop supervising. Later in life, his cousins wondered how Joe could get them to do about anything. Even as a teenager, Joe was honing his skills as a top-notch manager and leader. Joe received his BS and MS degrees in Civil Engineering from Missouri School of Mines and Metallurgy in Rolla, Missouri. He was commissioned in the US Army and spent his Army career tackling some of its most challenging combat and stateside construction jobs. During his first tour in Vietnam he lived with the Mountainards as an advisor to the South Vietnamese Army. During his second tour in Vietnam, he was the operations officer for a combat engineer battalion that built roads in the booby-trapped and sniper-filled Vietnamese countryside. He supervised construction of an anti-aircraft missile site in Korea; roads and bridges in the Dominican Republic; an anti-ballistic missile system in North Dakota; perimeter anti-ballistic sites in remote parts of Alaska; and boat harbors and roads throughout Alaska. He supervised the construction of the challenging rehabs of the Snettisham Hydroelectric Project in Southeast Alaska and the Chena Flood Control Project in Fairbanks. Already, he was leaving his imprint on the face of Alaska’s infrastructure. Joe’s final years in the Army found him tackling even larger and more complex projects. On loan from the Army, Joe helped the US Department Energy construct nuclear waste and energy storage facilities, including the Strategic Petroleum Reserve in Louisiana. Back with the Army Corps of Engineers, he supervised the highly complex construction of King Khalid City in Saudi Arabia. He retired a Lieutenant Colonel working as Deputy Commander of the Army Corps of Engineers, Alaska District. He turned down a promotion to Colonel because it meant leaving Alaska. During his Army career, he received two Legion of Merit awards, two Bronze Stars, and numerous other meritorious service medals. Joe hit the ground running when he retired. As Alaska was growing in those post-pipeline days, its energy needs increased quickly. Joe joined the Alaska Power Authority and managed an aggressive design and construction program to meet those needs, including the completion of several hydroelectric projects that currently provide about 20% of Alaska’s low-cost energy. He then moved on to the private sector as Vice President and President of Frank Moolin and Associates where he led design and construction of numerous Alaska infrastructure projects funded with pipeline royalties, including the Anchorage Library, the Anchorage Museum and the Anchorage Landfill along with the construction of 120 post offices throughout the state, the utilidor in Barrow and the several road construction projects in Anchorage. It was during this time that Governor Tony Knowles asked Joe to return to Alaska as the Commissioner of the Alaska Department of Transportation. Joe jumped at the chance to continue developing and improving Alaska’s infrastructure. As DOT Commissioner, he deftly tackled challenging budget reduction problems of the time, fostered legislative and community involvement, and addressed the perennial public complaints about potholes and road construction while devising ways to improve Alaska’s roads, airports and the ferry system. During his tenure, the award-winning Whittier Tunnel, expansion of the Anchorage International Airport, the construction of the Parks-Richardson Highway Interchange, the construction of the Kennicott Ferry and an aggressive program of repaving Alaska’s roads were accomplished. He devised a system whereby all state transportation projects were objectively analyzed and prioritized for development. He brought integrity to the office; he was known for being prepared, honest and straight forward, particularly when delivering realistic, but unwanted, news to constituents and other project stakeholders about the finite resources of the department. During the eight years he served, the department progressed from a highway department to a department that served the unique transportation needs of all Alaska, including rural Alaska. 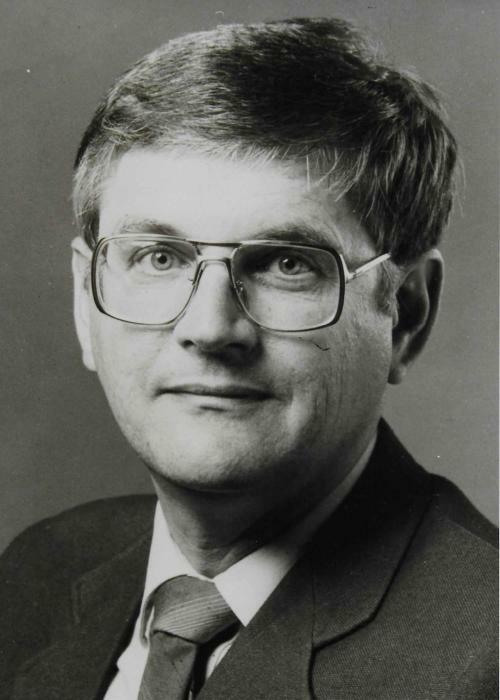 He elevated Alaska DOT to a national and international level when he served as President of the Western Association of State Highway and Transportation Officials, the Vice-President of the American Association of State Highway and Transportation Officials, and as one of two US delegates to the World Road Association. In each of those organizations, he was active and instrumental in changing and improving national and international protocols and standards used in highway design and construction. He also served on the Alaska Railroad Board of Directors and the Alaska Industrial Development and Export Authority Board of Directors for eight years. Other than the myriad of infrastructure projects that Joe championed, Joe’s greatest joy professionally was the hundreds of professionals he befriended and mentored over the course of his career. He loved his work and he loved the people he worked with. He brought a sense of fun and humor to his work, as his Halloween costumes and staff meeting antics often reflected. He loved fly fishing with his friends, Wilson Hughes, Tony Knowles, Stan Hooley, and Sam Baker. He enjoyed travelling the world with his wife, Laurie. He read and studied history voraciously and often said that he would have loved to have been a history professor in addition to being an engineer. And, most of all, his loved his wife, children and grandchildren fiercely. He championed Juneau football and served on the JYFL Board of Directors for several years. One of his proudest days was the day he was inducted as a Distinguished Alumnus at his alma mater. Surrounded by his family, Joe passed away on March 25, 2019 from heart and kidney failure in Oklahoma City where he and his wife moved in 2016 after his health deteriorated. Joe is survived by his wife, Laurie Prentice Perkins, and his children: Lindsay Rico (Joseph) of Edmond, OK; Jack Perkins (Shawnee) of Seattle, WA; Joseph Perkins (Josie) of Maui, HI; and Tom Perkins (Lisa) of Fort Worth, TX. He is also survived by three grandchildren, Grant Rico, Claire Perkins and Chase Perkins, and his brothers, John (Robbie) Perkins of Rolla, MO and Paul (Linda) Perkins of Steelville MO. He was preceded in death by his parents. The Family received friends from 3:00 until 8:00 on Saturday, March 30, 2019 at the Britton-Bennett Funeral Home in Steelville, MO. 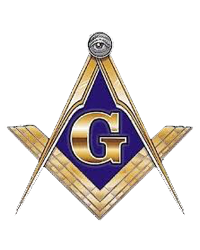 Masonic services were held at 7:00 p.m. on March 30, 2019 at the funeral home. A memorial funeral service was held at 1:00 p.m. on March 31, 2019 at Steelville Presbyterian Church in Steelville, Missouri with Rev. Wendy Downing and Rev. Bobby Weber officiating. The prelude of "Moonlight Sonata" was played by pianist, Karin West. Music of "Swing Low, Sweet Chariot" and "His Eye is On the Sparrow" was sung by Rev. Bobby Weber and Bill Weber. Great memories were shared by his brother, John Perkins and a good friend, Wilson Hughes. The Recessional of "Amazing Grace" was played on bag pipes by Rob Bowness. Honored to be casket bearers were Joe Perkins, Jr., Jack Perkins, Tom Perkins, Joe Rico, Scott Perkins and Mark Perkins. Joe will be buried with full military honors in Arlington National Cemetery in Washington, DC. The family wishes to thank the Alaska Heart Institute in Anchorage, the Integris Advanced Cardiac Care Hospital in Oklahoma City, and especially Dr. Richard Welling of Juneau for their aggressive and caring treatment over the years.